PA chairman reportedly planning on cutting aid for Gaza due to anger over Qatar’s willingness to support the Hamas-run coastal enclave. 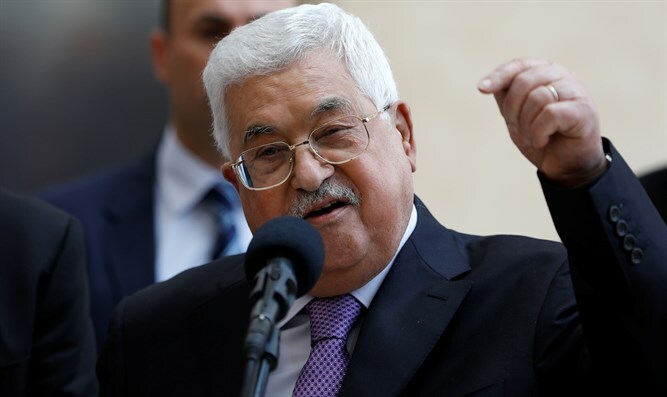 Palestinian Authority (PA) chairman Mahmoud Abbas is planning on cutting financial aid for Gaza due to anger over Qatar’s willingness to support the Hamas-run coastal enclave, Hadashot TV reported on Saturday night. According to the report, the PA is planning on cutting some $96 million which Gaza receives from it every month, risking a worsening of the already dire situation in Gaza. Senior defense officials told Hadashot TV that Abbas was particularly frustrated with the UN Special Coordinator for the Middle East Peace Nikolay Mladenov, who facilitated a deal that will see Qatar financing the purchase of fuel for Gaza’s power plant. Earlier on Saturday, the Lebanese Al Akhbar newspaper reported that Qatar has begun sending funds to Gaza via Israel, while circumventing the PA. The funds are intended to be used to pay for six months of electricity for Gaza, as well as to pay the salaries of Hamas terrorists in Gaza for the next three months, according to the newspaper. On Thursday, Haaretz reported that talks on the deal with Qatar had been taking place over the past few months under Mladenov. Qatar was represented by its regional envoy Mohammed al-Amedi. The Israeli official most involved was National Security Adviser Meir Ben-Shabbat. The PA chairman has refused moves to improve the electricity supply in Gaza unless there is progress in the PA-Hamas reconciliation talks.